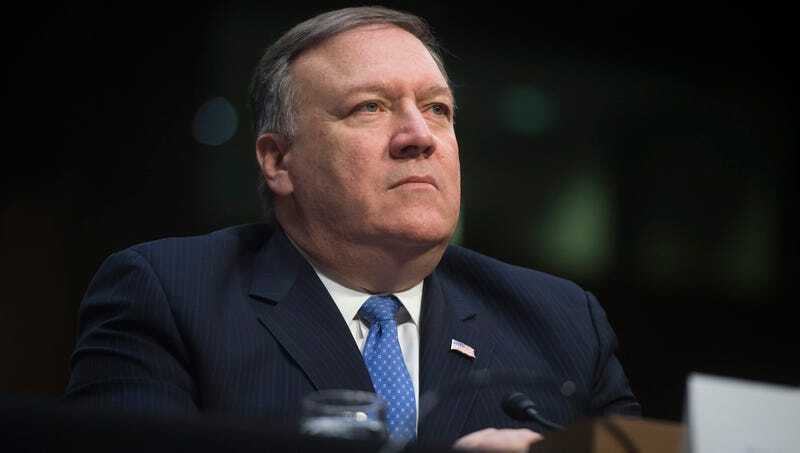 WASHINGTON—Expressing surprise at the relatively tame treatment he had received during his confirmation hearing, Secretary of State nominee Mike Pompeo told reporters Thursday that he can’t believe the Senate expected him to give answers without even being tortured first. “I thought I was supposed to be grilled on my policy positions here, but they just let me sit in this cushy chair the whole time without waterboarding me or anything,” said the CIA director, shaking his head in disbelief as he noted that the members of the Senate Judiciary Committee had simply asked him to clarify his stance on Russia without once putting him in an agonizing stress position, threatening the lives of his family, or stripping him naked and forcing him to crawl on a leash through the Capitol Building lobby. “I was already kind of skeptical when they let me get a full night’s sleep last night without once waking me up by blaring heavy metal. But does Tim Kaine seriously think I’m going to give him any dirt on my views on North Korean regime change if he doesn’t at least snuff out a cigarette on my testicles? Come on, get real.” At press time, Pompeo had perked up as Senator Ed Markey (D-MA) mentioned “rectal feeding tubes” before realizing in disappointment that it was just another routine committee question.